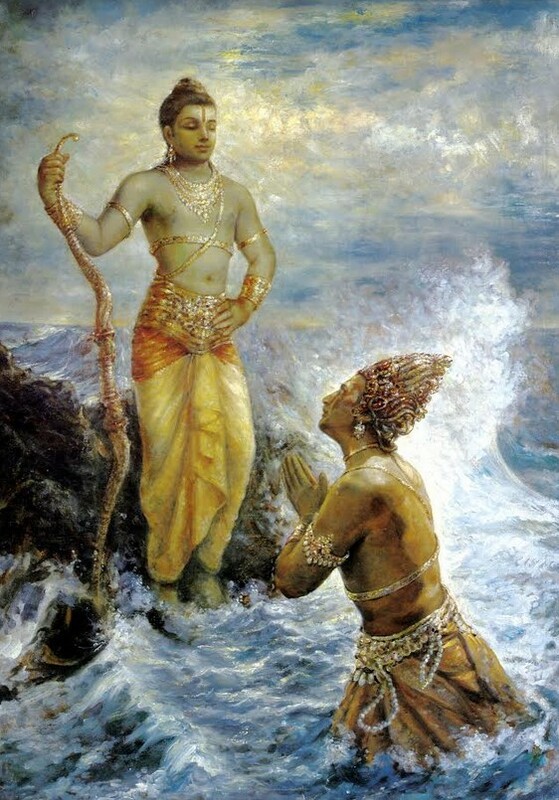 Thus by associating with Lord Rama on His appearance day through hearing and speaking about His pastimes, chanting His holy name, and seeing His Deity form, Vaishnavas can become purified and further develop their love for the Lord. When the Lord appears as Krishna, He descends in His original form as the enjoyer, and through His sweet pastimes captures the hearts of His devotees. However, many of Lord Krishna’s pastimes are confusing for ordinary persons because He acts in ways that ordinary persons should not. 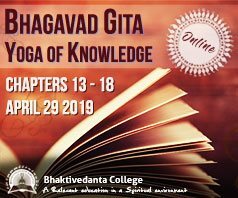 Lord Ramachandra appears in a different mood; in this incarnation, the Lord’s activities are such that ordinary and materialistic persons cannot find fault with Him. Rama sets an example of the perfect king, husband, son, friend, and master. Without complaint, Lord Rama obeyed His father’s command to abdicate the throne on the eve of His coronation and go to live in the forest in exile for fourteen years. He was always dutiful in every way. Once upon the throne, He acted as an ideal king and due to His good governance, everyone experienced happiness. A citizen once came to Lord Rama to complain because his son had died at a young age; this demonstrates how idyllic the kingdom was under the rule of Lord Rama – the death of a son before the death of the father was at that time so unusual that it was worthy of complaint to the king Himself. Lord Ramachandra exhibits all of the opulences of the Lord in full. He has limitless strength, wealth, fame, beauty, knowledge, and renunciation, and all of these He demonstrated in His pastimes. He was so renounced that although He was the most beloved crown prince of Ayodhya, and the ideal future king, he renounced everything without hesitation for a life of austerity in the forest. However, although Lord Rama is completely renounced, another important lesson to learn from His pastimes is what happens if someone other than the Lord attempts to enjoy the energy of the Lord. Lord Rama was completely renounced, but when the demon Ravana kidnapped Rama’s wife Sitadevi, wanting to enjoy Her, Lord Rama completely destroyed him. However much opulence a person may possess, any attempt to exploit the Lord’s potency will result in suffering. Ravaṇa’s attempt to exploit Sitadevi is an extreme example, but this principle applies to the ever-present and more subtle desire to enjoy and exploit the Lord’s creation in all of its manifestations. Thus, the pastimes enacted by Lord Rama teach that success can only be achieved in service to the Lord and never through attempts to enjoy the Lord’s energy. 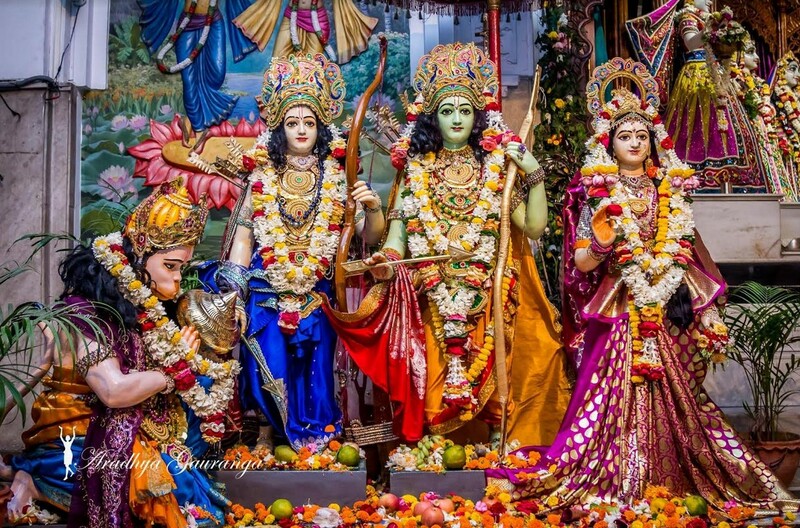 In the Sri Mayapur Candrodaya Mandir, Rama-navami is celebrated with a morning class on the glories of Sri Rama followed by an abhishek of the Lord. In the afternoon, the Deity of Lord Rama is taken on procession around the Mayapur campus and greeted and honored by all the resident devotees. 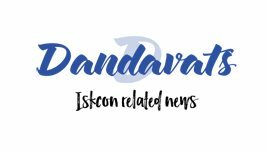 In this way, the devotees of ISKCON Mayapur celebrate Sri Rama-navami and associate with the Supreme Lord Sri Ramachandra.